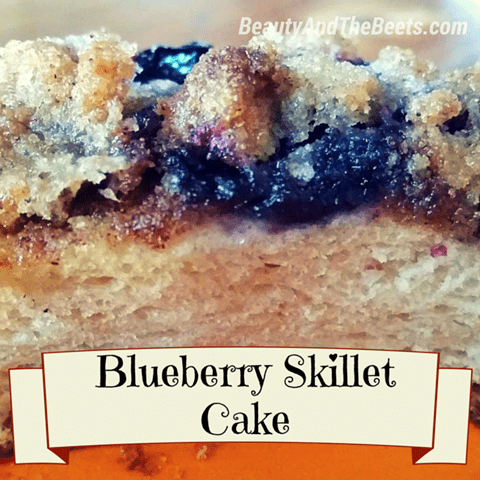 I am not normally a person that likes sweet things for breakfast. Occasionally I may splurge on French Toast or Chocolate Chip pancakes but normally I’m more of a cold pizza for breakfast type of girl. Unfortunately for me, Mr. Beet is the complete opposite. 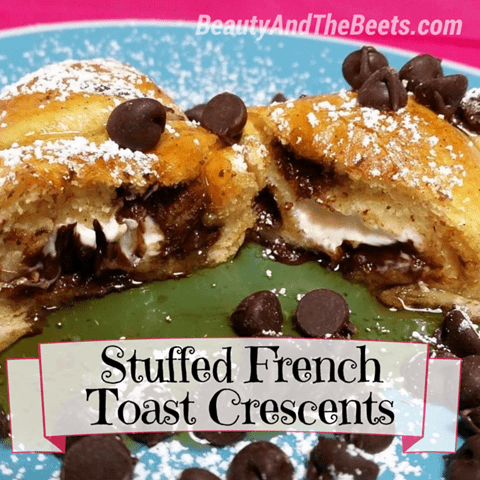 He loves sweet pastries, French Toast and Belgian waffles first thing in the morning. The only exception for me would be a glazed Krispy Kreme doughnut. Especially if it’s warm. I may or may not have the ability to eat a half dozen glazed Krispy Kremes in one sitting. Doughnuts are one of those things that Mr. Beet and I can agree on. I’ve been obsessing a little with canned biscuits and trying to come up with new ways to use them besides as a side dish for dinner. Some have been delicious, some have been flops. Sorry, I’m not writing about the flops. 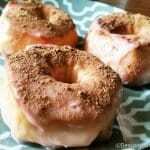 But I did make doughnuts. And they were good. 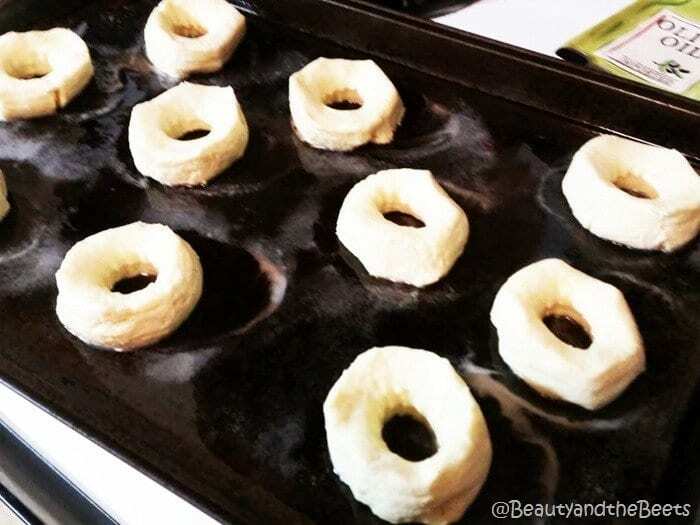 All I did was use a mini cookie cutter to make the hole in the middle, then set them out on a cookie sheet, spray with cooking spray and let them bake for 12 minutes in a 350° oven. Simple. 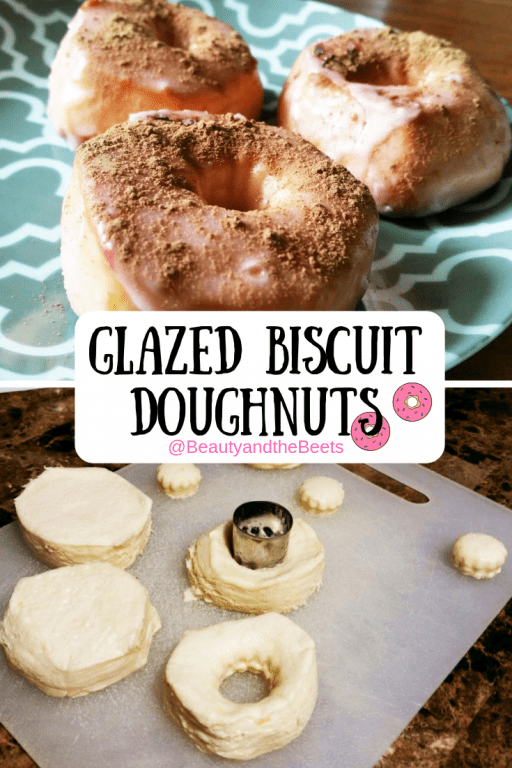 Easy recipe for Glazed Biscuit Doughnuts with a basic sugar glaze. Preheat oven to 350°. Spray a baking sheet with cooking spray. Seperate each biscuit onto a cutting board. Spray a small round cookie cutter and carefully insert into each biscuit, removing the center. You may need to spray the cookie cutter between each biscuit. 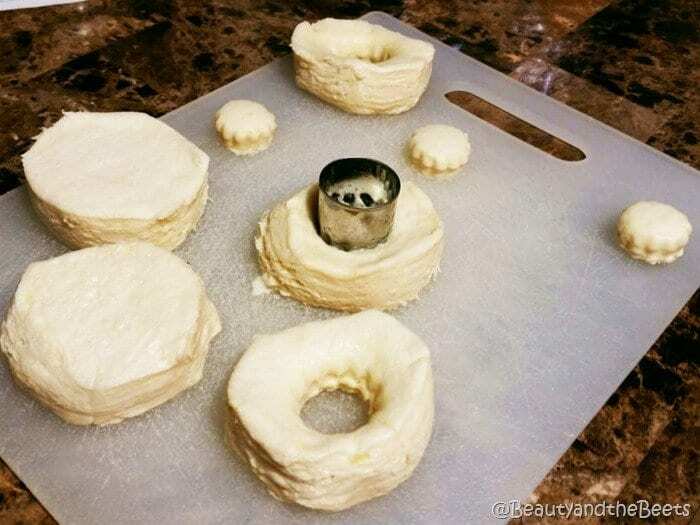 Place the biscuit doughnuts onto the greased baking sheet about two inches apart. Spray the biscuits with the cooking spray. 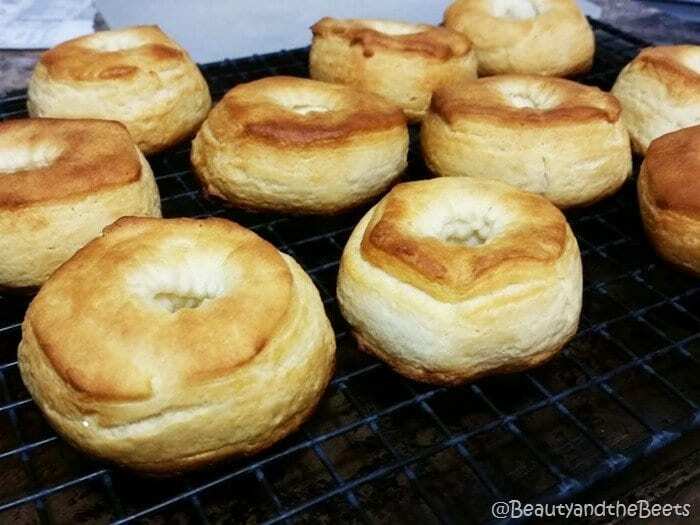 Bake for 12 minutes until the biscuits are golden brown and flaky. Place the sugar in a medium bowl and slowly stir in the milk and vanilla. Stir until the glaze is mixed well. Add 2-3 drops of food coloring until desired hue is achieved. Spoon or pour over cookies or doughnuts. 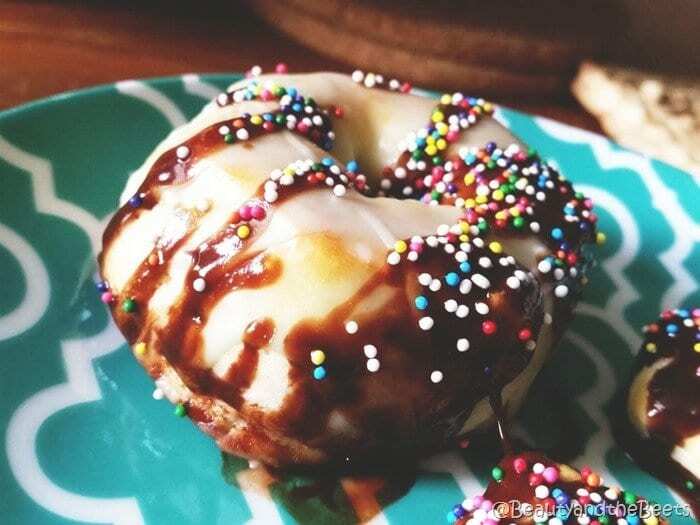 *To make chocolate glaze: Add 4 tbsp unsweetened cocoa powder to the glaze and blend well. 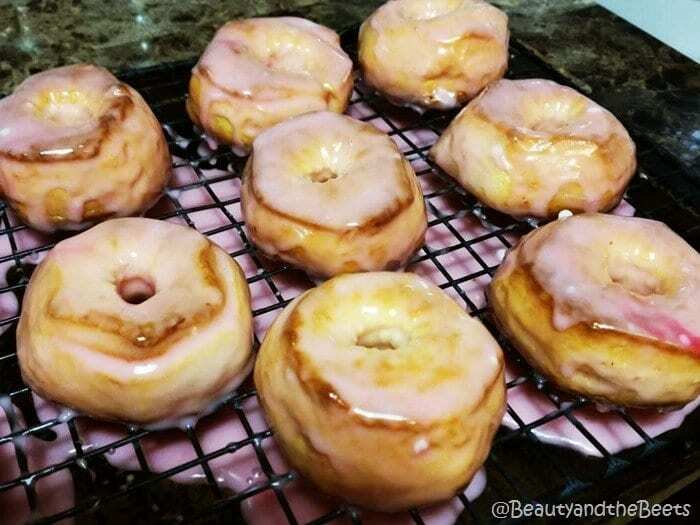 Spoon glaze or frosting on doughnuts before serving. Tip: Place a cooling rack onto a baking sheet when pouring or spooning the glaze to collect the excess. 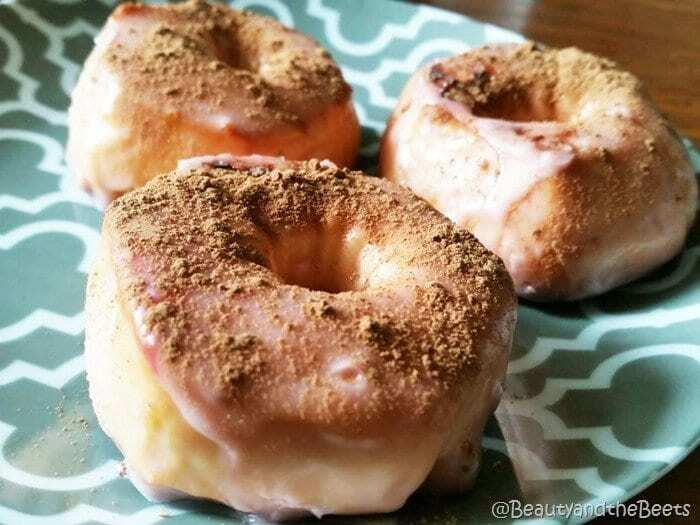 Then there’s all those things that make doughnuts fun. The sprinkles. The cocoa powder dusting. The crushed peanuts. The toppings. And the middles make nice little doughnut holes as well. 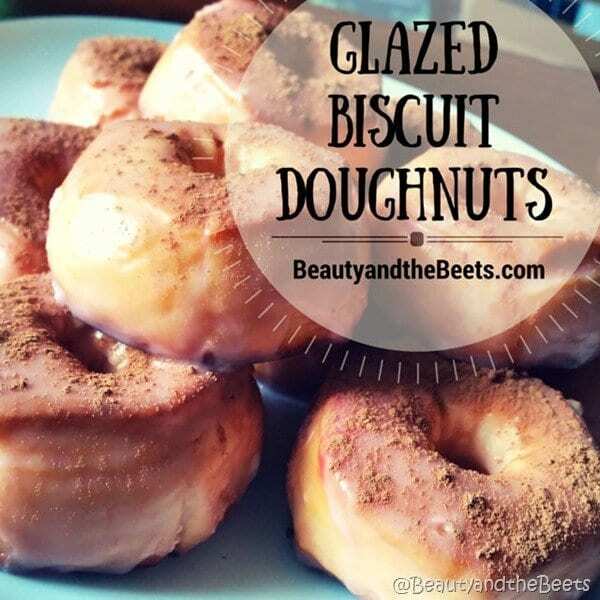 Well these glazed biscuit doughnuts were a hit in my house. And they were fun. *This post may contain affiliate links which are of no additional cost to you. These links help offset the operating costs of operating BeautyandtheBeets.com – thank you for your support. 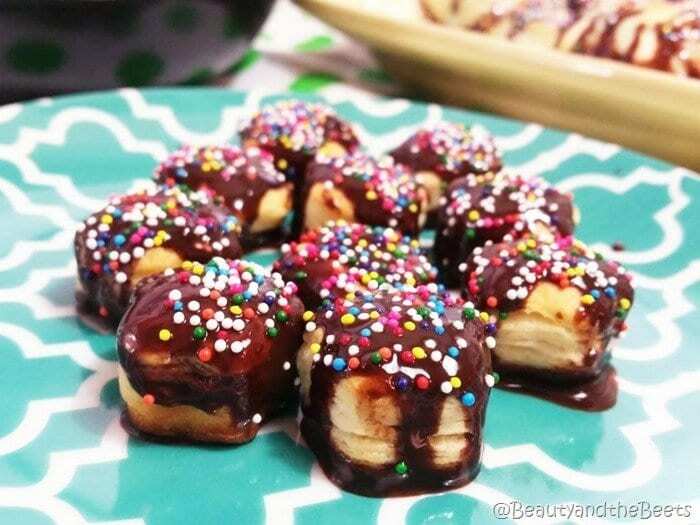 As someone who could eat sweets for every meal, these look amazing! !